Majnoon — Shell (45%), Petronas (30%), and Iraq's state-run Missan Oil Company (25%). Production: 235,000 b/d. Estimated oil in place: 12,6 billion barrels. A.P.I. gravity: 19 to 33 degrees. 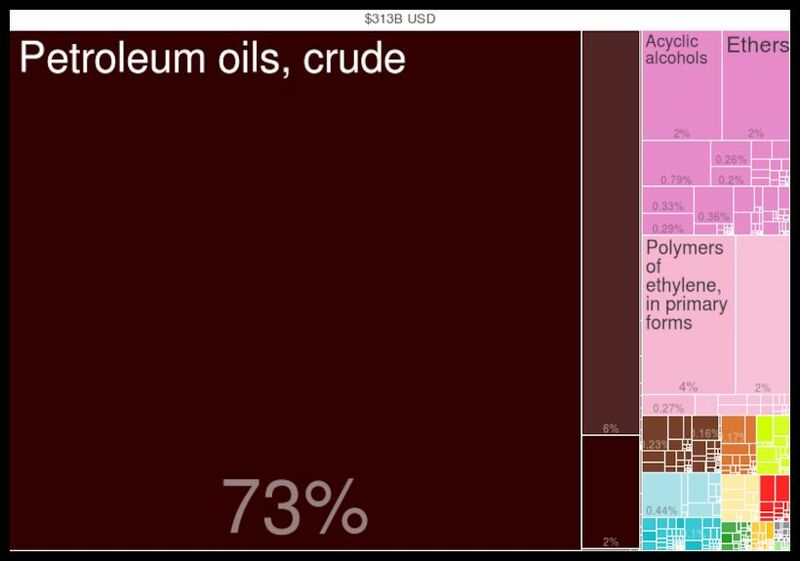 West Qurna 1 — Exxon Mobil (33%), PetroChina (25%), Shell (20%), Iraq's state-run Oil Exploration Company (12%) and Pertamina (10%). Production: 470,000 b/d. 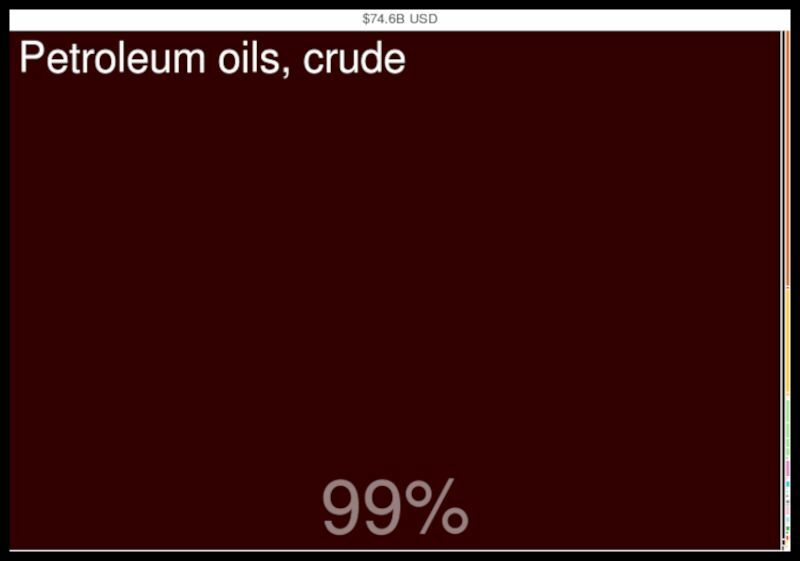 Estimated oil in place: 8.7 billion barrels. A.P.I. gravity: 22.5 to 46 degrees. 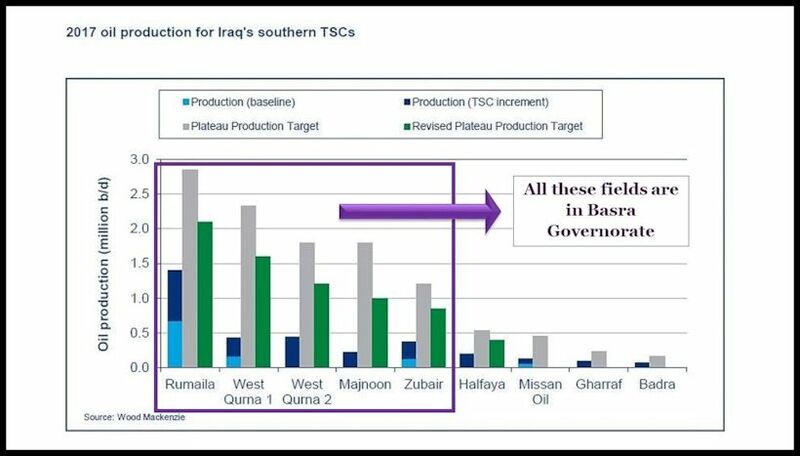 West Qurna 2 — Lukoil (75%) and Iraq's state-run Basra Oil Company (B.O.C., 25%). Production: 413,000 b/d. Estimated oil in place: 12.9 billion barrels. A.P.I. gravity: 22.5 to 46 degrees. Zubair — Eni (32.81%), Iraq's state-run Missan Oil Company (25%), Iraq's state-run Basra Oil Company (B.O.C., 23.44%), Korea Gas Corporation (18.75%). Production: 400,000 b/d. Estimated oil in place: 4.5 billion barrels. A.P.I. gravity: 27.5 to 40 degrees. 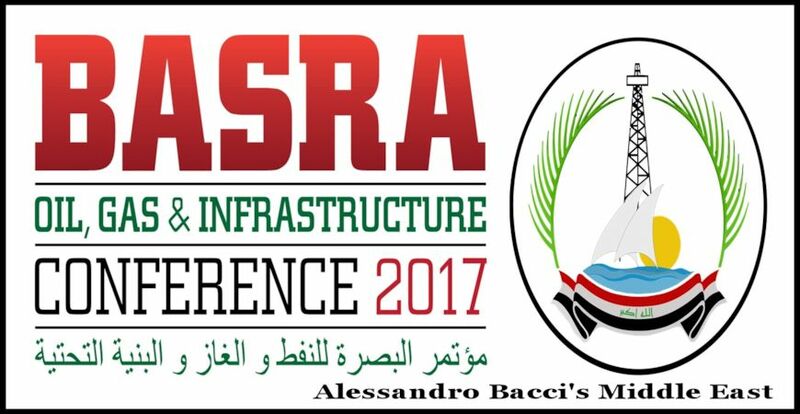 Additional activity in Basra Governorate is centered around the petrochemical industry. The State Company of Fertilizers (S.C.F.) has capabilities concerning the production of sulfuric acid, ammonia, urea, and ammonia sulfate. The State Company for Petrochemical Industries (S.C.P.I.) is in the business of manufacturing high quality high density polyethylene, low density polyethylene, polyvinyl chloride (P.V.C. ), polyethylene master batch (colored and black), polyvinyl chloride compounding, agricultural film, and other chemical products. 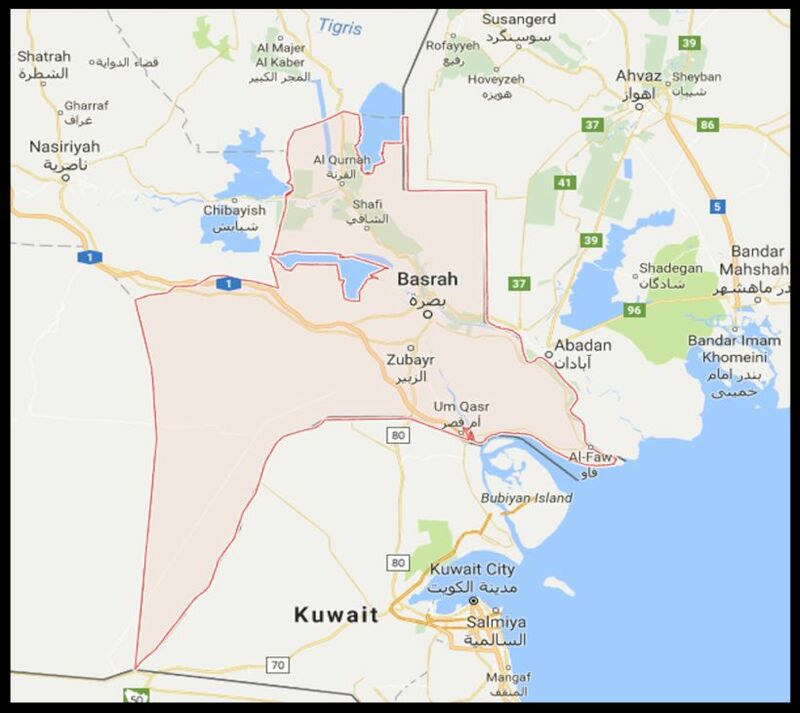 Finally, Basra Governorate is located in a fertile agricultural region, which produces rice, maize, barley, pearl millet, wheat, and dates and which raises livestock. 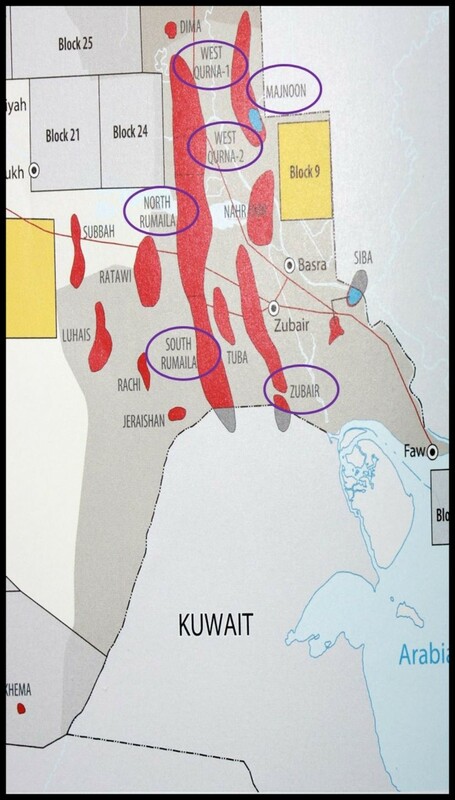 Al Basrah Oil Terminal (ABOT) and Khawr al ‘Amīyah Oil Terminal (Kaaot) are located 31 miles southeast of the Al-Faw Peninsula in the Persian Gulf. 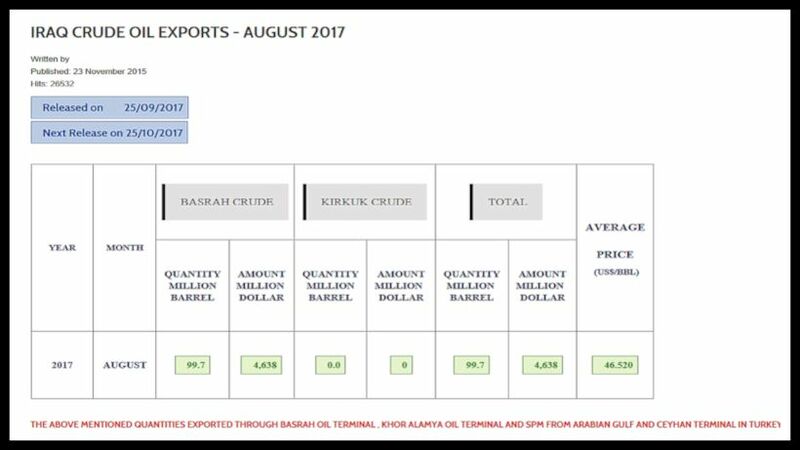 The two loading terminals and three single-point moorings (S.P.M.s) plus a spare buoy, provide the principal point of export for Iraq’s crude oil, but they are operating well below capacity as a consequence of three wars and scarce maintenance. In January 2017, the Ministry of Oil announced that it intended to double the crude loading capacity of Kaaot, which is the smaller terminal of the two, to 1.2 million b/d in order to permit the loading of Suezmax vessels. Instead, ABOT alone, without considering the S.P.M.s can transfer up to 3 million b/d. The governorate of Basra, but this is a recurrent condition throughout Iraq, is hyper-urbanized with 80 percent of its population (4,7 million of people live in Basra Governorate) living in the few urban centers present in the governorate. In 2017, the metropolitan area of the city of Basra has an estimated population of 2.8 million. Hyperurbanization means a large and growing housing deficit in all the major Iraqi centers, Basra included. This deficit has been compounded by population growth, the pace of urbanization, and the inflows of internally displaced people. And, it's then important to understand that, as it has been studied by the World Bank, youth exclusion is probably the main factor favoring youth radicalization and recruitment by militias and violent groups. Most Iraqi youths joined ISIS because they had no realistic life opportunities other than that in order to improve their social standing—most youths earn a week salary of less than $22, while a very basic rent costs around $180 per month.